Greetings Spy Vibers! It's been super busy here in the Spy Vibe lair. My art students have been getting portfolios ready to publish for our annual exhibit, and I start teaching a weeklong course about Japanese culture and aesthetics on Monday. I've also been working on a secret radio project! Yes, you heard that right. Friends, it's time to cue up some cool soundtracks on the Hi-Fi! 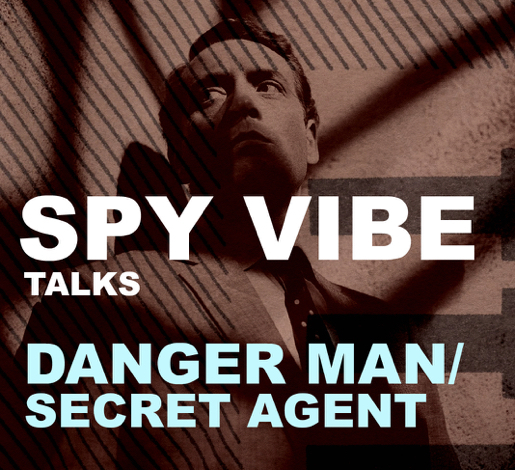 I've teamed up with Cocktail Nation, that swinging show out of Australia, and every month I will be introducing one of my favorite spy films/series and talking about the music. We just launched the first show and you can check it out here (my section about Danger Man starts around 7:15). More about Cocktail Nation: Each week host Koop Kooper talks to the movers and shakers of the lounge and tiki scene and plays the very best in swingin' tunes. Koop is a DJ, writer, and voiceover artist who lives in a Penthouse overlooking Sydney. After my Spy Vibe segments, I hope you'll hang around his lair and groove to his hip platters. See you on the flip side and ENJOY!